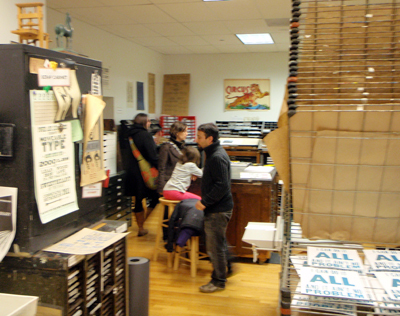 A rainy day didn’t deter wood type and letterpress fans from coming in droves to this past Saturday’s benefit for the Hamilton Wood Type Museum, a landmark cultural institution in Two Rivers, WI, which is being evicted from its current historic space. 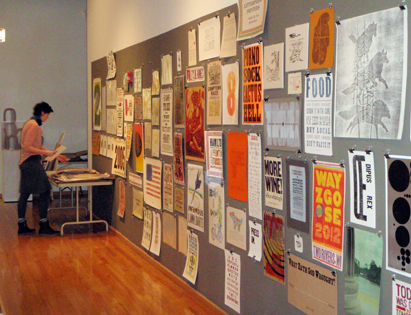 The benefit event harnessed the strong community support for the museum and its mission to help them complete their impending relocation. 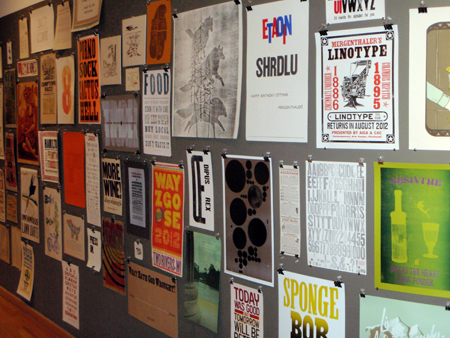 Many artists from Chicago and beyond donated their prints, books, and artwork to the cause, with all proceeds benefitting the Hamilton Wood Type and Printing Museum. 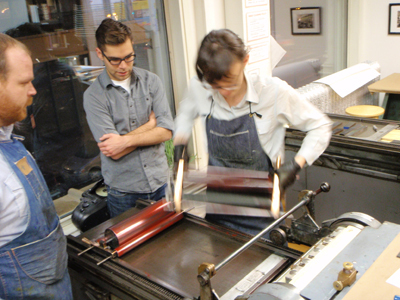 The event included an open house, demonstrations (letterpress demos by Book and Paper MFA Kate Mogan), along with the artwork and print sale. 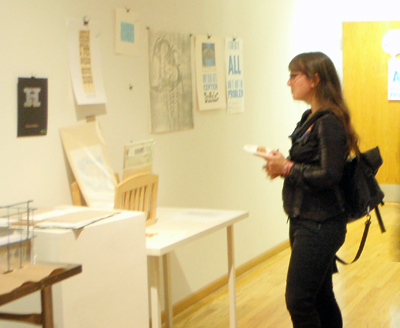 Organization for the event was spearheaded by April Sheridan of CBPA, with support from InterArts MFA students, faculty, and the Chicago book arts community.